OnCell already offers the most feature-rich mobile app builder on the market, but we’ve made it even better with a few recent updates. As the leading digital storytelling platform, we strive to bring the latest technology to connect destinations with their visitors. These enhancements modernize our app builder and bring the latest in features and customization. The OnCell App Builder now features a fresh, modern look and feel. The brighter colors and intuitive user interface make our builder not only easy to use but easy on the eyes as well. Check it out today by signing up for a free test drive! 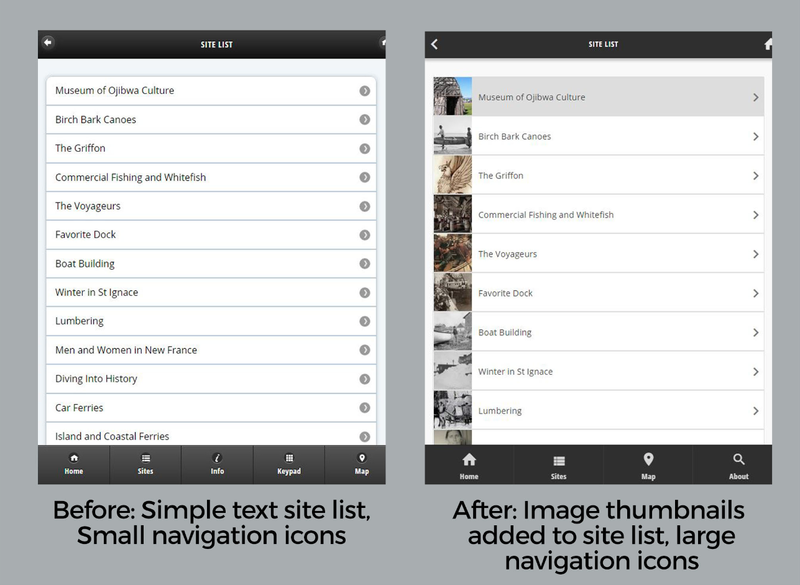 Icon choices for our navigation menu have been updated! Current icons got a little refresh, and 28 new icons have been added for things like badges, donations, new maps, parks, and more! There is now a “Two Column List” option for the list widget. Lists will show up with two columns in the builder, as well as published apps if this option is checked. If the “Two Column List” option is selected but the list only has one item in it, it will remain a regular list until another item is added. Lists with only one row can be used as “Previous” and “Next” buttons as seen in the example below. Clients who have custom themes will need their themes updated to support two column lists. NPS and U.S. Forest Service themes already support two-column lists, and other themes will be updated as well. If you have a custom theme design and want to enable two-column lists, contact your client account manager today! Scrolling with the mouse wheel or trackpad now works everywhere in the builder. This includes scrolling through pages, folders, and while editing pages and widgets. These updates are now available for all plans in the OnCell App Builder. You can check them out by signing up for a free test drive or contacting us to schedule a demo! 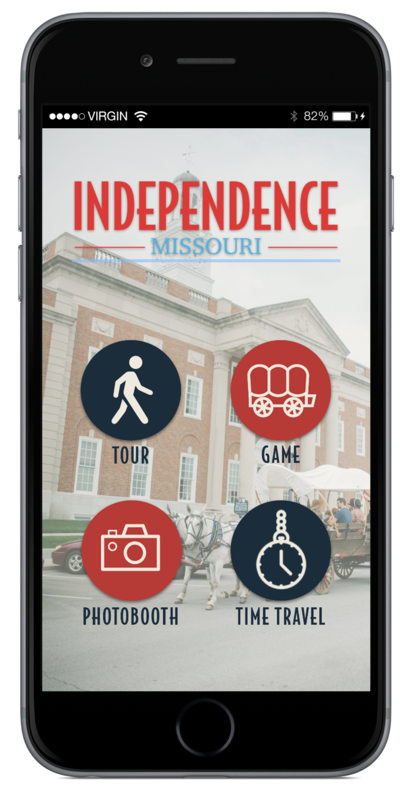 The City of Independence Missouri’s new mobile app celebrates the city’s unique history–a bustling center which supported pioneers as they started their long journey on the Santa Fe, Oregon, and California Trails during the Westward Expansion of the 1800s. The goal of the project was to offer visitors a modern way to explore the city with fewer pamphlets, less planning, and more spontaneity. Core to the app experience is an audio walking tour of historic locations within the city. OnCell configured and deployed location-aware beacons at the tour stops, which automatically play the audio content as visitors navigate the city. 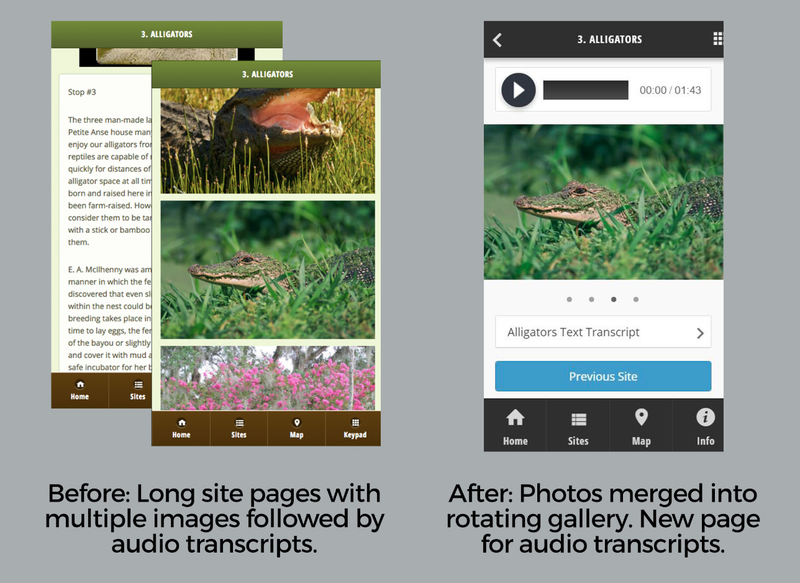 Written transcriptions of the audio content are included to make the app accessible for those who are hearing-impaired. 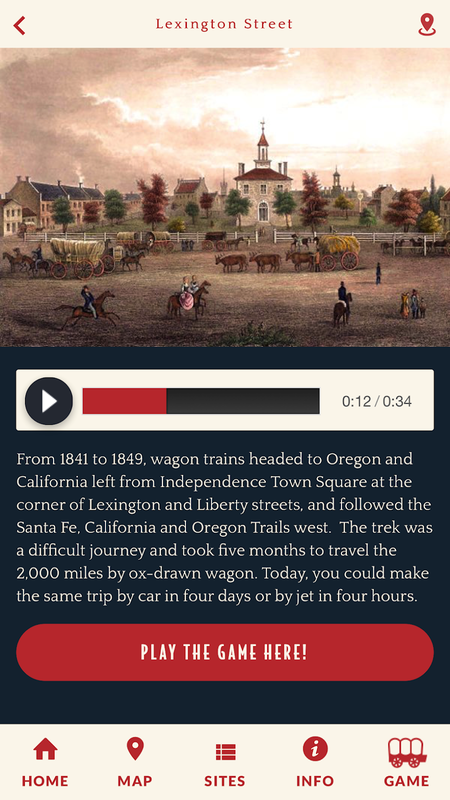 The app includes Pioneers to Presidents, a game developed using the app builder, in which the user prepares for the long journey on the Oregon Trail. Visitors can playfully navigate the city, answer trivia, and collect virtual “supplies” in the form of badges. The badges can be shown at their Visitor Experience Center to get a physical prize. OnCell’s engineering team developed badges as a custom feature to integrate into their app and our content management system. Photo filters were also custom engineered for this app, which allows visitors to access the device’s camera and take photos with themed overlays, such as wearing President Harry Truman’s hat and spectacles. The app can be found in the App Store and Google Play, search: “Find Your Independence”. Thomas Dunne, OnCell CEO, and Toby Bloom, USFS National Program Manager for Travel, Tourism, and Interpretation accept the 2018 Beacon Award. 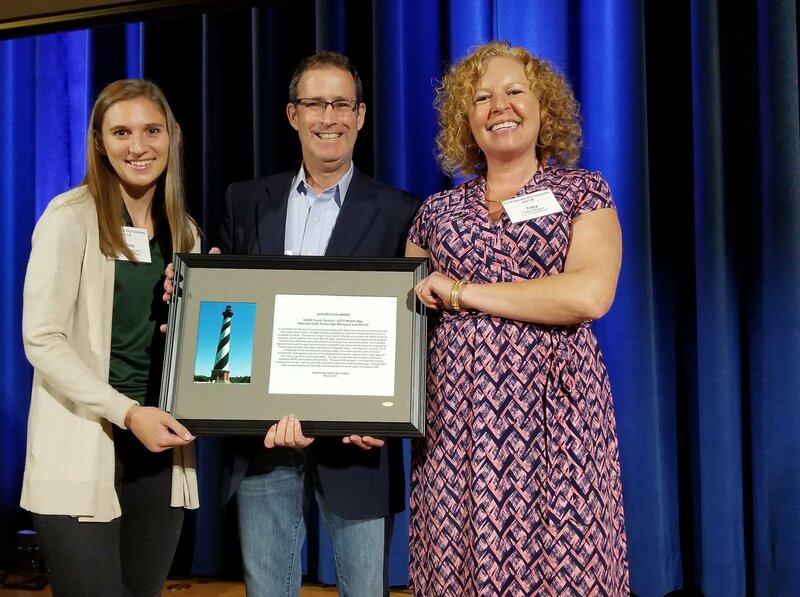 The American Recreation Coalition presented the 2018 Beacon Award at the RECx Conference to U.S. Forest Service employees who manage the individual forest apps and the USFS mobile app! The Beacon Award recognizes innovative use of technology, communications, and partnerships to improve recreation program management and enhance the experiences of visitors, especially young people and “non-traditional” visitors. In 2016, OnCell partnered with the U.S. Forest Service to create a mobile app program which allows individual forests to build their own app. Each forest has a project lead who has worked to launch, manage, and promote apps which allow visitors to discover recreational opportunities, access interpretive content, and alert them of time sensitive information such as fires or hazards. Download the National Forest Explorer App in the App Store and Google Play. We’ve expanded the capabilities of our push notification manager! You can now schedule, edit, and track the delivery and interactions of your push notifications. Go to your OnCell Dashboard and click the green “Message Center” button. Manage and track all your notifications here! You can then use the analytics to better understand what messages your app users find the most valuable and measure the success of marketing campaigns. Learn how to set and manage push notifications in this short video tutorial. Push notifications are available on all OnCell Pro and Lite accounts which have native apps. Listed on the National Register of Historic Places, Cabot’s Pueblo Museum preserves the homestead of visionary explorer, artist, and Mason Cabot Yerxa, whose discovery of two desert aquifers provides fresh water to California’s Coachella Valley and gave rise to the area’s hot springs resorts. After 24 years of construction, which began in 1941, Yerxa completed his 35-room pueblo, which was donated to the City of Desert Hot Springs after his death. The site is operated as a heritage museum and share artifacts of his travels, art, and collection of Native American artistry. 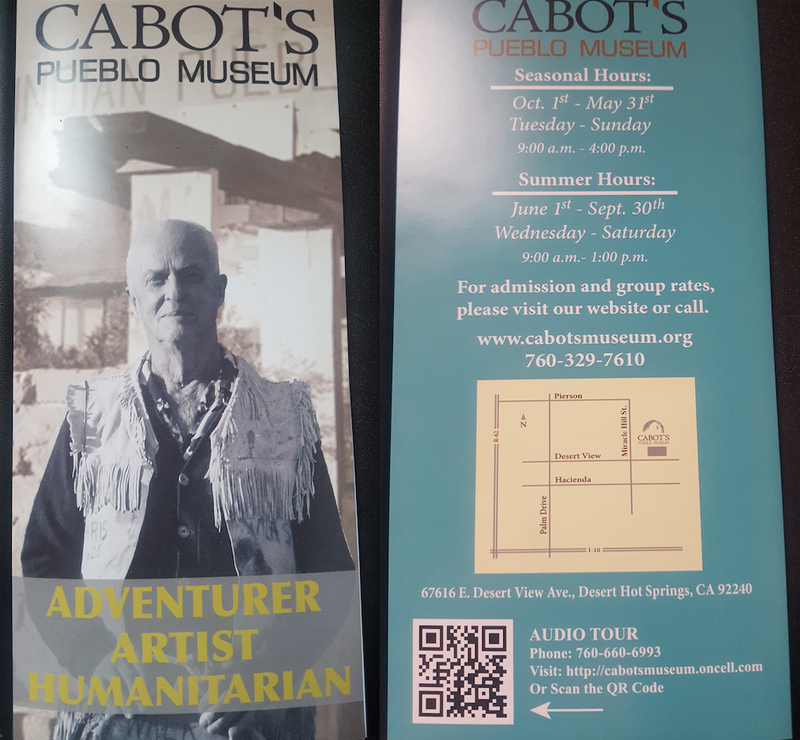 The newly launched Cabot’s Pueblo Museum audio tour shares the story of the adventurous pioneer and his self-built Hopi-inspired home. The tour takes museum visitors around the structures found on the site’s 5 acres, on which the historic home sits. The app offers new interpretive content about these structures, such as the barn, tool house, and studio house, and prompts visitors to think about how they were created with locally sourced, repurposed materials. The content for the app is an expansion of an existing grounds brochure, with the audio tour scripted and recorded by a staff tour guide. The museum is working on a new exhibition in a space that has been closed for over 40 years. As this exhibition unfurls, additional content for the audio tour will be added to the app using OnCell’s flexible app-building platform. “Our process is to start small and grow. 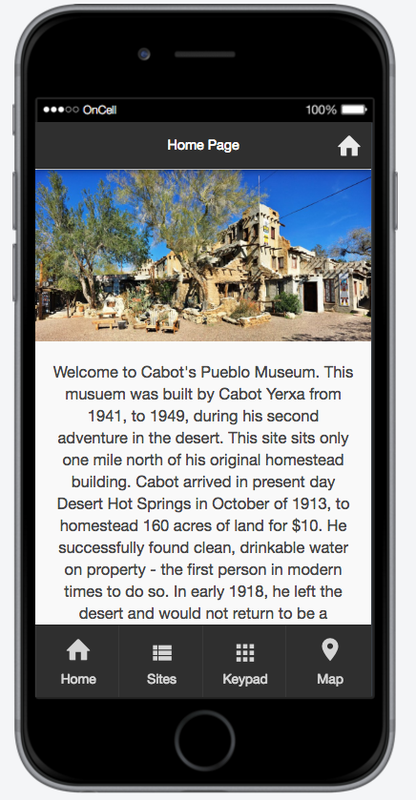 We’re excited to use the app as a tool to enhance the visitor experience and add more content over time,” says Rodriguez. The museum promotes their app with brochures and signs for tour stops. The tour can be accessed by a dial in tour number or the mobile web app, which uses a keypad. No Time to Update Your App? We Can Do It for You! 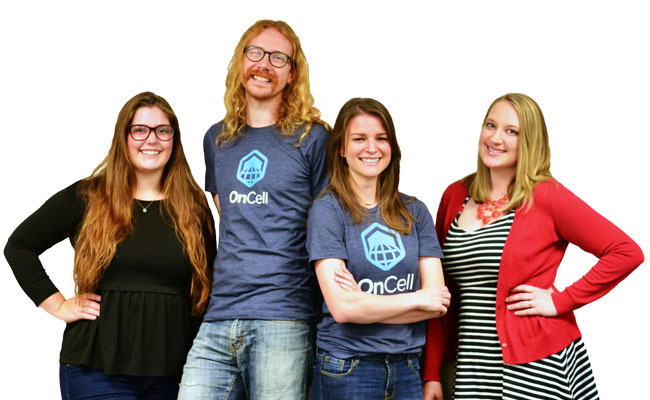 OnCell’s app editing service will help you improve your app’s appearance. Our team of mobile experts will evaluate your current app and help improve both its visual readability and overall flow. After a thorough analysis, we’ll make a series of recommendations on how your app can be improved–and implement them for you! What changes can we make in your app? Contact us today to learn more about how our team can transform your app! 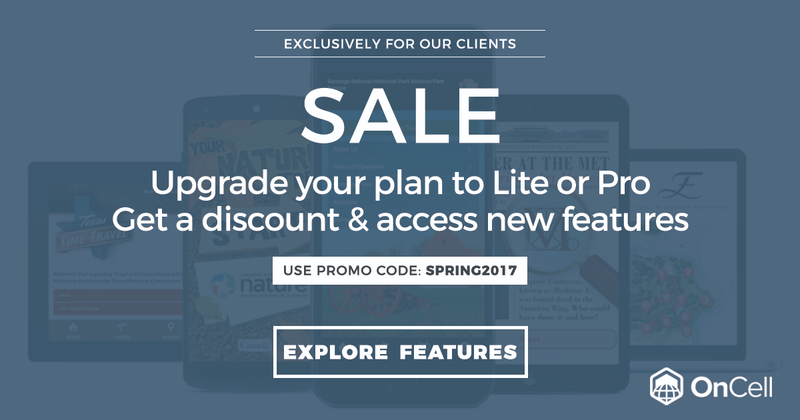 Spring Promo: Upgrade to Lite or Pro and Save! Explore the Cranbrook House & Gardens app and the Toldeo Museum of Art app for inspiration! In order to receive this special offer, you must be a current client and your order must be in by July 15th. Contact your Client Account Manager with the promo code “Spring2017”. If you are not sure who your client account manager is, send us an email at info@oncell.com or call us at (585) 419-9844. We’ll find the right plan to fit your needs! Since its founding in 1901, the Toledo Museum of Art’s mission has been art education and it has earned a global reputation for the quality of their collection, their innovative and extensive education programs, and their architecturally significant campus. More than 30,000 works of art represent American and European painting, the history of art in glass, ancient Greek, Roman, and Egyptian works, Asian and African art, medieval art, sculpture, decorative arts, graphic arts, and modern and contemporary art. 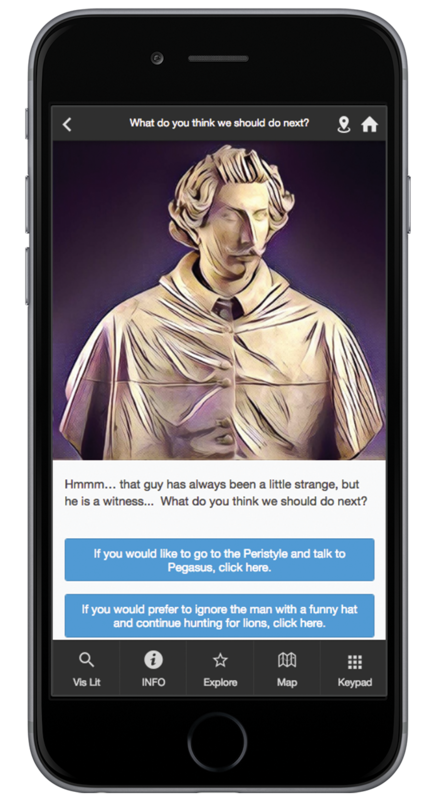 The app provides content that caters to a variety of audiences and allows visitors to explore the galleries in alternative ways. A. TMApp integrates technology into the gallery experience and provides a sensory learning opportunity for visitors to look, listen and learn; we know that people learn in different ways. Additionally, TMApp creates an opportunity for new audiences to access and connect with our collection and for current audiences to see it in new ways. 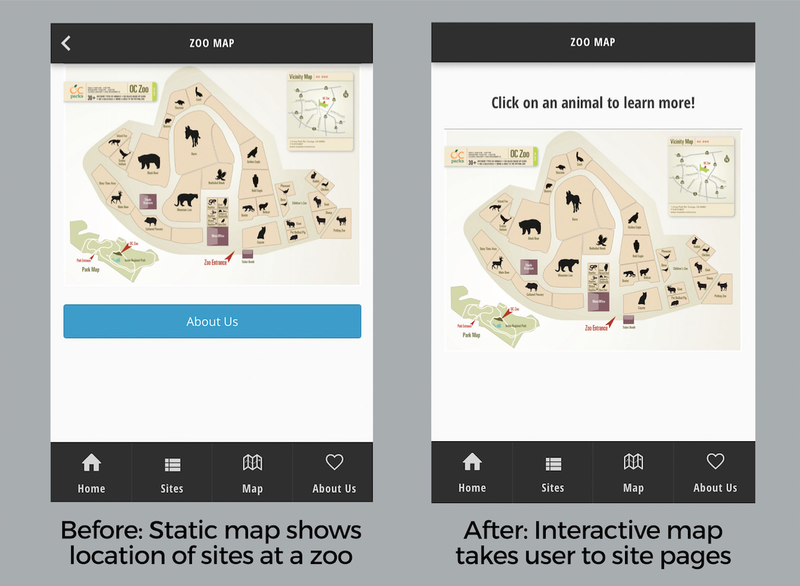 TMApp allows us to communicate with our visitors and also help them to navigate the space. Q. The app features a very unique approach to an audio tour, with original poems inspired by the TMA collection penned and read by revered Irish poet Paul Durcan. Was it always the intention to use his work in the app when he began his residency at the museum? A. It was a great honor to have Irish poet Paul Durcan write a book of poetry inspired by works in the TMA collection. While working on the project, we knew we wanted to incorporate his poetry in the galleries. The timing of his public poetry readings and the beginning of our relationship with OnCell was happenstance. This audio tour inspired another poetry-related audio tour that’s currently in the works. Scavenger narrator Cardinal Antonio Barberini gives users clues to locate an animal on the loose in the galleries. Q. Another unique feature of the app is a “wild animal hunt” for a creature who has found its way out of an artwork and prompts families to follow clues around the museum. What inspired you to create this experience in the app? A. Because the Toledo Museum of Art has a long history of immersing children in the world of art, we believe that it’s never too early to start the learning and engagement process. The goal of the Escape! scavenger hunt on TMApp was to have a fun and playful way for families to explore the galleries and to look closely at works of art. A. We’ve received a number of positive reviews including a young visitor who was so excited about the scavenger hunt that he wanted to come back the next day to explore again! Q. How do you plan to leverage the app builder to share new content? A. We’ve used the builder to ensure the app is updated and reflects rotating exhibitions. For example, visitors were able to dive deeper into our special exhibition Kehinde Wiley: A New Republic with a mobile guide that includes artist interviews, with video and audio interviews with the artist; images of the Old Master works of art that were the sources for poses, titles, and other details; audio commentary; and other contextual information. We have also used the guide to include information about TMA collection connections, a soundtrack (on Spotify) inspired by the exhibition and created by the TMA Teen Apprentices, and a selection of audio descriptions for visitors with vision impairments. Visitors can look forward to new guides coming this spring that will include accessibility features including extended audio descriptions. A. You don’t have to do it alone. This project is a collaborative effort across multiple departments including Information Systems, Marketing and Education & Engagement which has been important in the development phase. Additionally, frontline staff has been leveraged to promote the TMApp experience. 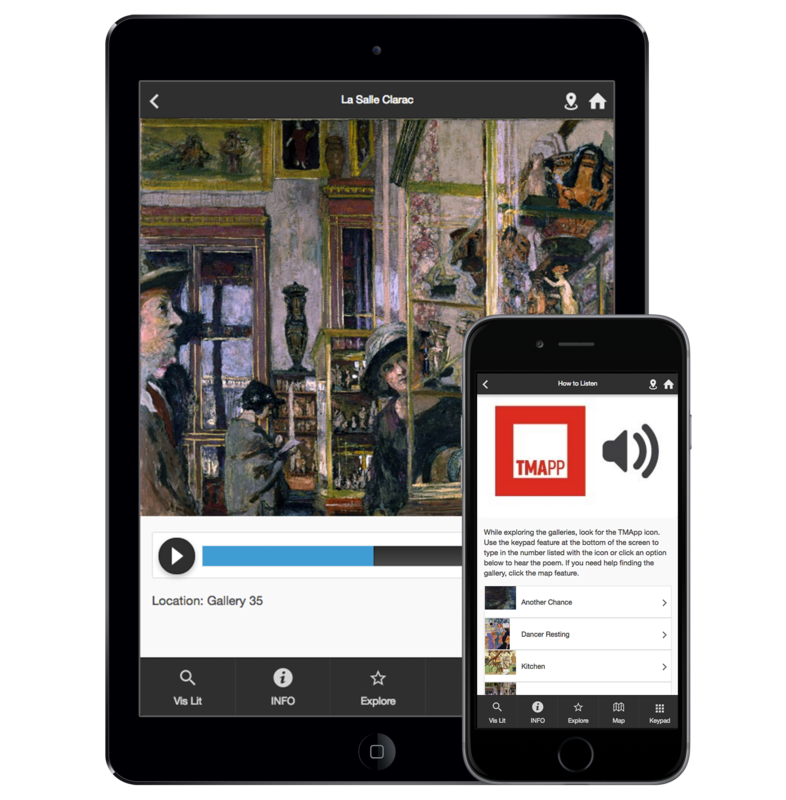 The TMapp app features original audio and poetry, gallery tour, an interactive scavenger hunt, and essential visitor info such as admission and floorplans. The app will soon be paired with location-aware beacons to help visitors discover content. It is available for download on iOS in the App Store and Android in Google Play. Access the web app on any web-enabled device at TMAapp.oncell.com.